The Tornado Bullion Hedging System was created in 2004 by Co-Founders Tom Garland and Peter Thomas to offer online precious metals trading and hedging for the wholesale bullion bar and bullion coin market. Over the past decade volatility has increased in the precious metals market. We saw the need in our own business to hedge the natural price risk associated with it. No longer can a business survive with metal already purchased just sitting in the vault on a 24-hour basis. Businesses must be able to predict the profit margins of products on a daily, and even hourly, basis. We are all in the business to sell precious metals – not to speculate. The Tornado Bullion Hedging System offers online hedging to the exact ounce. Spend more time selling precious metals than in front of a trading screen trying to figure out where you stand. Hedge your current inventory or lock in your customer prices on product that has not been purchased yet. How much time do you spend wondering if you are a bit long, or short, because the deals don’t fit in with the contract size? If you have inventory and are long in the vault, you want to be short in the market to the exact ounce. Alternatively, if you are selling product that you do not yet own, you can go long the market and lock your customer prices in until it’s time for you to make a purchase from your supplier. The Tornado Bullion Hedging System can also be directly connected to your shopping cart. Hedge manually, or connect your shopping cart to our API and proprietary gateway to automatically lock customers’ prices in on purchases 24-hours a day 7-days a week. 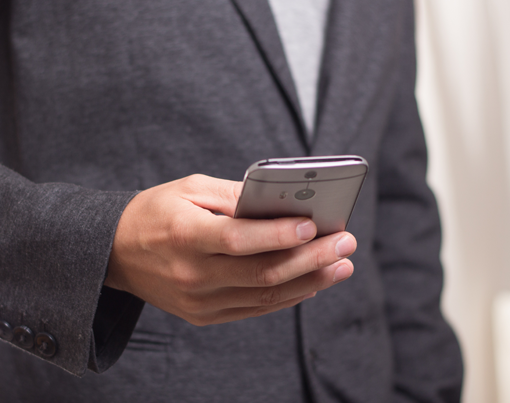 Use our London spot precious metals feed to price your products in a live environment. 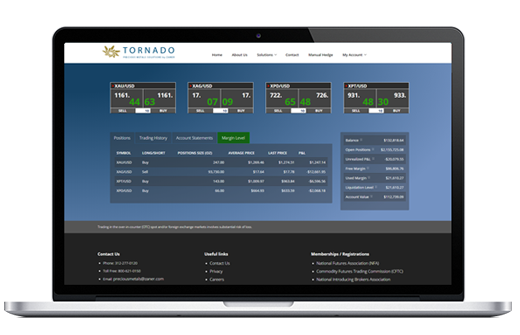 The Tornado Bullion Hedging System is available on your PC, laptop, iPad, iPhone, or Android device.